(CBS News) Authorities in South Africa announced Wednesday the seizing of assets worth over $7 million from three alleged rhinoceros poachers. The assets were seized from game farm owner Dawie Groenewald and two veterinary surgeons, Dr. Karel Toet and Dr. Manie Du Plessis, according to a statement. Authorities say the assets were believed to have largely been acquired "through criminal activities, particularly rhino poaching." According to the statement, the three had previously been charged with 1872 counts of racketeering, "mak[ing] it one of the biggest wildlife cases in South Africa." AFP reports that Groenewald is accused of being the mastermind of the poaching ring, and that the men allegedly legally bought rhinos before illegally slaughtering them to sell their horns. Rhino horns are used in traditional Asian medicine. Police spokesman Col. Vishnu Naido said that the seizure of assets will ensure that the men do not return to "a life of luxury" if they are convicted and serve time, according to BBC Africa. 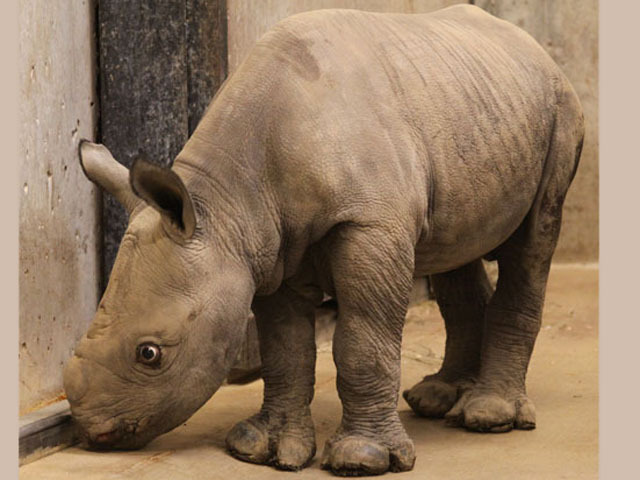 According to BBC Africa, a record 450 rhinos were killed in South Africa last year.